Zinc for Acne - Clearer Skin Using Zinc For Acne Treatment? Natural, do-it-yourself remedies for acne aren’t always very reliable, and sometimes they’re just straight lies, but there is one natural remedy worth a try: zinc. Zinc for acne has a surprising amount of research that shows it can be an effective treatment. Some studies show that those with acne are more likely to have a zinc deficiency, while others suggest that a zinc deficiency is only present in those with severe acne, but all of the studies found that zinc could help with clearer skin. Using zinc for acne is effective because it suppresses the immune system, which sounds just about as backward as it can get, but read on, the science behind it is fascinating and pretty darn solid. Zinc reduces inflammation that leads to acne. For a long time, dermatologists believed that acne was caused by a certain kind of bacteria, Propionibacterium acnes, or p. acnes. These bacteria supposedly get lodged in your pores, attack your skin, and create pimples. In the last few decades, however, this theory has changed a bit. Bacteria still play a major role in acne, especially pimples and cysts, but it turns out that the bacteria don’t attack your skin, your own immune system does. In addition, many doctors now say that acne is primarily an inflammatory condition, rather than a bacterial one. It turns out p. acnes always lives on your skin in small numbers, and it can actually be beneficial. They eat up sebum (the oil your skin naturally produces) and excrete healthy acids that are good for your face. The problem arises when bacteria get trapped in a pore with excess sebum and dead skin cells. Stuck in there with that increased food supply, they multiply very quickly and generate a small infection. When your body detects this infection, it sends out immune system agents to fight it, which should be a good thing. But p. acnes bacteria release a chemical that attaches to the skin surrounding them, and the immune system is tricked into fighting your own skin rather than the bacteria. This is bad for your skin, and it allows the bacteria to continue to grow. Now, scientists know that minor inflammation is what causes the bacteria to get trapped in the first place; the skin becomes inflamed from stress or a lack of antioxidants or a million other small reasons, pores close up with bacteria inside, the bacteria trigger an immune response, and the skin becomes even more inflamed. If you can prevent that initial, minor inflammation, you can prevent a great deal of acne, and that’s what zinc can do. 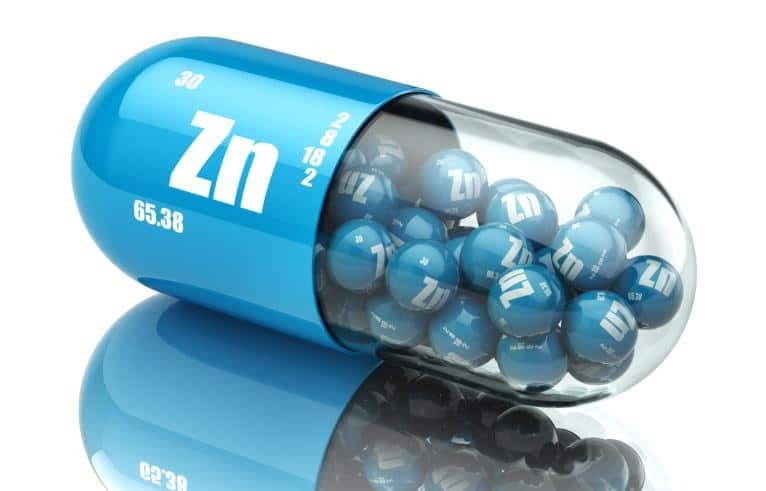 You can use zinc for acne because it reduces the initial inflammation that causes acne. It does this by suppressing your immune system, because the bacteria are not actually the problem with acne. Although increased bacteria in a pore can cause some minor problems, the big problem with acne is how your immune system reacts to it. Even though suppressing your immune system sounds like a bad way to fight bacteria, it can really work with acne. Zinc doesn’t shut down your immune system or prevent you from fighting off infections or illnesses; it just provides a gentle sense of balance that keeps your immune system from reacting to every minor stressor it encounters. It does this by regulating corticotrophin releasing hormone (CRH). When released from the brain, this hormone lets the adrenal glands know that they need to release the stress hormone, cortisol. However, the skin can also release CRH. Instead of going to the adrenal glands, it stays within the skin, and causes the release of histamines. If you have allergies, you probably know that histamines cause swelling. Your eyes might get puffy and your nose could run due to your sinuses swelling. But your skin can release histamines even without the presence of an allergen. One of the reasons it’s so bad to pick at your skin is because it causes irritation. When your skin is irritated, it is “stressed” and releases CRH, which release histamines and inflames your skin. As if inflammation wasn’t bad enough, CRH also encourages the creation of new skin cells in the pores, which usually only clogs them more, and it increases sebum production, making your skin oilier and also clogging pores. Zinc doesn’t totally shut down your CRH hormone production, but it regulates it and keeps it from overreacting. So far we’ve been saying “zinc” pretty generally, but zinc comes in lots of different varieties. The best zinc for most skin types (and budgets) is zinc gluconate, a good option for light skin is zinc oxide, and zinc ascorbate may be a good option for those with sensitive skin, prone to more inflammation. Zinc gluconate is recommended for most people looking to use zinc for acne treatment. It fares well with all skin types, dark to light, oily to dry, and it is easily absorbed in the digestive tract if you take zinc as an oral supplement (more on the different ways to get more zinc in a moment). Best of all, it’s affordable, usually only $4-5 for 150 50mg tablets. A zinc supplement like zinc gluconate could help reduce acne. If you have light skin and want to use zinc for acne, zinc oxide could be a good option. Zinc oxide is often used in those bright white sunscreens, and it can be very good at protecting your skin from the harmful rays of the sun. It may be less effective at preventing acne though. Additionally, we don’t recommend it for those with dark or black skin, as it can create light or purple-ish spots. It also costs around $4-5 for 150 50 mg tablets. Zinc ascorbate contains zinc and ascorbic acid, which is just another word for vitamin C. Vitamin C is a good antioxidant, which reduces inflammation by destroying free radicals in the body, unstable molecules that can cause cell damage. Zinc ascorbate is very good at fighting inflammation, but it costs a bit more, anywhere from $5 to $25 for 150 50 mg tablets. You may be more likely to have a zinc deficiency if you have significant acne, but acne isn’t the only effect of a zinc deficiency. Many symptoms of a zinc deficiency are common in other conditions and may go unnoticed if the symptoms are not brought up all at the same time. If you have two or more of the following symptoms, you may want to talk to your doctor about a zinc deficiency. If you want to use zinc for acne treatment, you’ll have to decide how you want to get your extra zinc. There are three main options: oral supplements, topical serums, and regular food. Supplements will affect your whole body, providing health benefits beyond acne improvement. If you think you have a zinc deficiency, supplements might be the best option for you. Serums are applied to the skin, meaning it could have a more direct impact on your acne, but it’s important to remember that zinc prevents acne, it doesn’t treat it. Supplements might do this just as effectively, and without the danger of creating light or dark spots. Finally, you can always just eat more foods in your diet that have lots of zinc. Oysters are a common example, but even if you don’t like seafood, you can still get a daily boost of zinc through beef, baked beans, and several kinds of cereal. If you follow a vegetarian diet, you could be more prone to a zinc deficiency and should be sure to eat other foods rich in zinc, or consider taking zinc supplements. 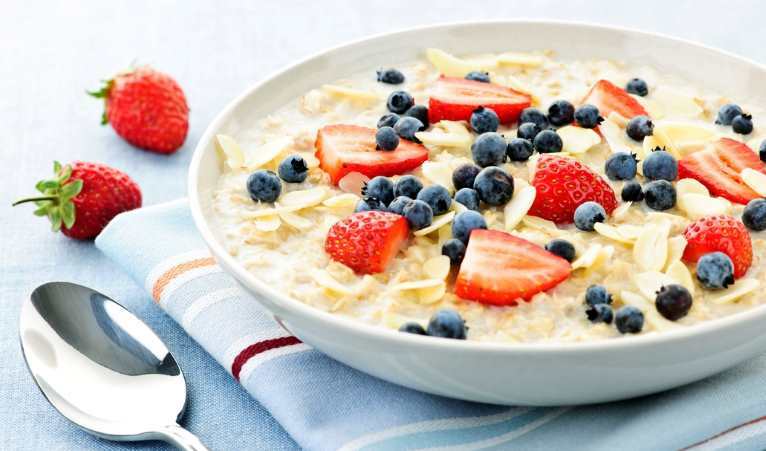 Cereal can be a delicious source of zinc in your daily diet. Studies Show Using Zinc for Acne is Just as Effective as Antibiotics…But is That a Good Thing? If you’re doing your research on using zinc for acne treatment, good for you! The skin is very sensitive, you should always research skincare before trying it. In your search, you may have read several times that using zinc for acne is “just as effective as using antibiotics for acne” as a way to promote zinc. This sounds really good, because antibiotics are prescription, they’re the good stuff, and if you can get the same results over the counter, that would be ideal, right? Well, that’s not quite the whole story. When antibiotics were first prescribed for acne, they were somewhat effective. Not amazing, but better than average. However, that has changed significantly in the last decade or two, thanks to antibiotic resistance. Antibiotic resistance is when bacteria become immune to the antibiotics used to kill them. This usually happens when just a few bacterium mutate, then reproduce and spread the resistance mutation to other bacteria. The resistance can spread quickly, and renders the antibiotic largely useless. Because we’ve been using antibiotics to help with all kinds of infections for over a century now, many of us have been exposed to antibiotic-resistant bacteria our whole lives, and may be resistant to antibiotics we’ve never even used before. This makes antibiotics generally less effective now than they were when they were first prescribed. Antibiotic resistance also prevents doctors from prescribing them for more than 3-6 months for acne treatment. Prolonged antibiotic usage can give the bacteria time to get used to the antibiotic and eventually mutate and become resistant. This is where the antibiotic-zinc comparison actually sells zinc short, because bacteria do not become resistant to zinc so it can be used indefinitely. It won’t clear your acne completely, but if it does help, you don’t have to stop after a few months. Zinc can be a great addition to an acne treatment regimen, but it rarely works as the only component. The truth is, there is no miracle cure for acne. The best way to treat it is slow and steady progress with gentle products that won’t irritate your skin, but can still reduce inflammation, fight bacteria, and exfoliate the skin to get rid of sebum and dead skin cells. This usually requires a full acne system, but many of the popular ones marketed today are far too harsh to help with acne long-term. They promise to get rid of acne fast, and to do so, they use active ingredients like benzoyl peroxide or glycolic acid at high concentrations that can dry and irritate skin after a few weeks of use. These systems might clear up your acne relatively quickly, but they often dry out your skin and lead to more acne soon after. Using zinc for acne will not suddenly get rid of all your acne, but it also shouldn’t dry you out over time, so it could be a healthy complement to an acne treatment system like Exposed Skincare. Their system uses responsible concentrations of tried and true acne fighting ingredients like benzoyl peroxide, salicylic acid, and glycolic acid, but it also uses natural ingredients, like green tea, passionflower extract, and aloe vera. Combined, these ingredients make products that are strong enough to help with even the most stubborn acne, but still gentle enough to be good for all skin types. Although zinc is a natural remedy with few side effects, there is one big one: it has the ability to become toxic, largely due to how it interacts with copper. The body has to balance how much zinc and copper it absorbs, so the more zinc it takes in, the less copper it can take in. The recommended daily allowance (RDA) of zinc is 8 to 11mg for an adult. Even though many supplements come in 50mg tablets, they do not contain 50mg of pure, or “elemental,” zinc. You should always check the label, but generally, most supplements contain 15-20% elemental zinc. So a 50mg tablet would only contain 7 or 8mg of elemental zinc, just the right amount. Even though that’s on the low end of the spectrum, you’ll want to remember that you still take in zinc through your diet, and should not receive your total RDA through supplements alone. If you’re getting too much zinc, you won’t get enough copper, which can result in anemia, muscle weakness, mental fatigue, and psychological symptoms. A good way to avoid this problem is to take a supplement with both zinc and copper. If you choose to use zinc for acne in serum form, you’ll want to look out for one other concern. Some skincare products claim to use nanoparticles, particles that are a so small they’re invisible to the naked eye and don’t even pick up a static charge. Scientists are confident about the future of nanoparticles, but as they are right now, they may not be the best option for acne treatment. Nanoparticles of zinc can fight bacteria, which would be great for acne, except they can kill some of the good bacteria on the skin as well, which could lead to dry skin, sensitive skin, or even more acne. Additionally, nanoparticles are so small, they can be absorbed under the skin, where they have a tendency to collect and form white spots. Does zinc make your skin more sensitive to the sun, like most acne treating products? One reason people with sensitive skin might want to try zinc is because it is one of the few acne treatments that doesn’t make the skin extra sensitive to the sun. If your skin already reacts strongly to everything around it, increasing that sensitivity usually leads to sunburns, which dries and irritates the skin, which can cause more acne. When using zinc for acne, that’s one problem you won’t have to worry about. The only trouble is that it usually doesn’t clear acne entirely, but it could combine well with another mild acne treatment that doesn’t increase sensitivity, like honey. I’m currently on antibiotics for my acne, should I ask my doctor about zinc for acne instead, since they work about the same? You definitely can, you should always discuss your options with your doctor. With antibiotic resistance on the rise, many doctors are open to antibiotic alternatives, so if you’re willing to give zinc a try, there’s a decent chance they’ll also be on board. 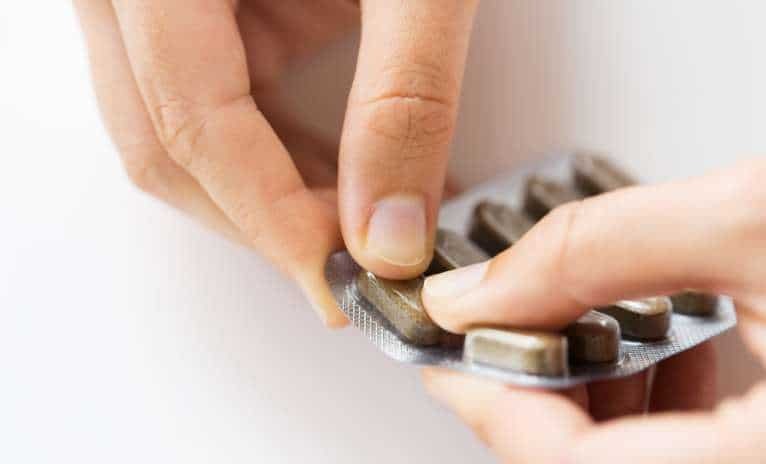 Some studies have found that zinc can actually make antibiotics more effective, so even if your doctor doesn’t want you to switch to zinc right away, it could be a good way to transition when it’s time to stop taking the antibiotics. If you’re new to going to the doctor by yourself, have never asked your doctor for a specific treatment, or are just anxious about doctor’s visits, there are a few tips for broaching an alternative treatment at your next visit. First, practice what you want to say beforehand, at home. This is a good tip for anxiety in general. If you can practice something without anything going horribly wrong, your brain learns to trust you. Second, even though you practiced your lines, let your doctor say what they need to say, and listen. Try not to spend the whole time thinking about what you’re going to say when they’re done talking, they might say something that changes your mind. Finally, remember that your care is what’s most important to both you and your doctor. There are so many treatments out there, sometimes doctors find their favorites and tend to prescribe those most often. It doesn’t mean they’re going to disagree with you or don’t think zinc is a valid treatment. How can I tell which zinc supplements are the real deal and which ones are a rip off? This is a tricky question, because there are so many supplement hoaxes out there. The best way to avoid buying zinc that has next to no nutritional value is to check out the ingredients. Most supplement frauds work off of one another. One brand will develop a zinc supplement containing almost no zinc and lots of filler ingredients, like herbs or other vitamins, in tiny, useless amounts. This creates a product that is cheap to make, and mostly useless, but sounds good enough to sell for 10-15 times what it cost to make. Then another supplement company will pop up, looking to make money rather than actually help people with ailments or nutritional deficiencies. They can’t just use the same ingredients that the first company used, that would be patent infringement. Instead, they add even more useless ingredients so they can claim their recipe as their own. This cycle goes on and on until many products on the market are less of a supplement, and more of a money pit. There are a few ways you can try to avoid scams and find natural, helpful supplements. First, check the label. If there are more than three or four ingredients, it will probably not help the way you want it to. Second, when shopping for supplements online, don’t browse a company site, use noncommercial options, like NIH, FDA, or USDA. Finally, trust your gut. If it seems fishy, it probably is.